It’s flax season! I don’t want to spin flax indoors because of all the dirt that falls out in the process. This is why I basically only spin flax in the summer. Also, late summer and autumn is the time for flax processing. So, I will write a flax series. In this series I will write about my own experimental flax patch, processing the fiber and spinning. 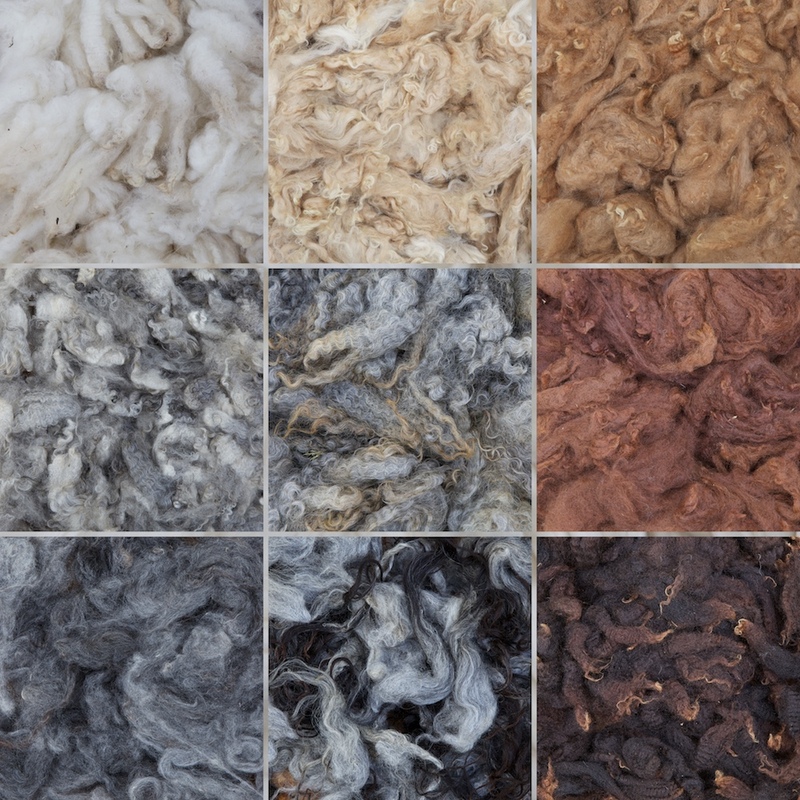 To begin with, here is a short summary of the different steps in the process from seed to yarn. The seed can be sowed as soon as the soil is defrosted and manageable. I usually wait for the first weed to sprout. After deweeding, I’m ready to sow. This makes it a lot easier to distinguish the sprouting flax from weeds later on. To avoid the flax patch becoming a day bed for the neighbour’s cat, I usually place a grid a few inches over the ground. I try to harvest about 30 days after the first blossom. I grab a bunch of plants and pull them right up, roots and all. Keeping the roots gives me a longer stalk. Also, the root protects the fiber from rotting (compared to a cut plant). I make bundles of the flax and hang them over a fence in the sun to dry. I try to hang them high enough to avoid any curious rodents. When the flax is totally dry it is time to ret it. The seed capsules need to be removed from the stalks before you can process the fiber. This is done with a ripple. It looks like a big comb. You pull a bundle through the ripple, and the seed capsules fall off. The seed capsules are saved and threshed for next season. I don’t own a ripple. Instead, I put the bundles in a pillow case and beat it with a mallet to remove the seed capsules from the stalks. This is a tricky part and I don’t have enough experience to know when the retting is just right. Since we don’t have a stream nearby, my only option is to dew ret my flax. I spread the bundles in a thin layer on the lawn. If it isn’t wet enough, I water the flax with a watering pot. I have to watch the process carefully to avoid under or over retting. I also turn the flax once a week to get an even retting process. When the fibers separate easily from the core when I bend the stalk, the retting is finished. When the retting is complete, I dry the flax in bundles. The flax stalk has a cellulose core. The flax fibers are placed around the core. To get hold of the fibers, the stalks needs to be broken. This process breaks the core, but not the fibers. Since I don’t own a flax breaker, I do it the stone age way – I try to crush the core with a stone against a rock. Sometimes it works. In the scutching process, the majority of the broken pieces of cellulose are removed from the fibers with a scutching knife. Since I don’t have one, I use a spatula. It doesn’t work very well. To separate the fibers I use two different hackles. A coarser one at first and then I continue to a finer one. This is the final part of the processing of the fiber. I end up with the hackled line flax and the coarser tow. I haven’t spun any of my own flax yet, mainly because I don’t think it has a good enough quality. I also haven’t practiced flax spinning to a point where I think I deserve to spin my own flax. In the next post in this series I will write about this year’s flax harvest. Thank you, thank you, thank you. I have been planning a flax trial for some time, always put off until too late to plant by something or other. Compounded by all the accounts that give the outcome as if nothing ever gets in the way, and all the special implements I’m supposed to use. Well, I stumble my way through all kinds of fibre-related projects, and now you’ve given me the perfect template for stumbling through growing and processing flax! The obstacles don’t matter, and neither does the outcome. The whole point is just doing it, seeing how things work, getting a feel for how it’s done. I’ve learned a lot from some of my other projects: rescuing troubled fleeces, trying various plants in the dye pot just to see what color they yielded and if it lasted, that sort of thing. That learning carries over into my more goal-oriented fibre projects, making me a better problem solver, and a better fibre person. And maybe even just a better person overall, because I can laugh at myself in the doing. Thank you for validating that, too! I love your light-hearted approach. Looking forward to next installment. I’m a new subscriber, and now will be going back to read some of your older posts. Thank you Annie, you make so many good points. The curiosity makes us better learners and ultimately, as you say, better people. Crafting and discovering new techniques make us more humble in our understanding of the material at hand and to the fact that there is always new and deeper things to learn. That never ceases to amaze me. Yay! So happy you are starting a flax series! I am just in the midst of learning how to spin flax (tow flax, not using the good stuff until I feel ready) and I’m actually using the Portuguese spindle to spin it with. I love my new spindle and thank you so much for sharing about it.